At Northeast Energy Systems, we specialize in providing custom engineered solutions that allow customers to utilize alternative sources of energy, while meeting their environmental stewardship goals. 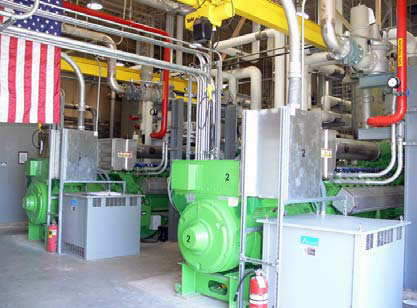 The Bergen County Utilities Authority project, which was initially commissioned in 2008, is a prime example of our ability to employ GE Jenbacher’s cogeneration technology to extract usable energy from existing biological waste sources. 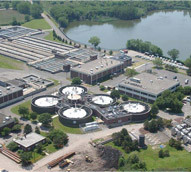 The Bergen County Utilities Authority (BCUA) is a wastewater treatment plant located outside of Little Ferry, New Jersey that services 47 Bergen County townships, totaling approximately 550,000 residents. Since the biological wastewater treatment project was commissioned, the plant has used five anaerobic digesters and one sludge storage tank to produce one million standard cubic feet of biogas per day. That biogas is then converted to electricity using two GE Jenbacher JMS 420 units, which are capable of producing a combined 4,220 kilowatts of electrical power. These units run on a dual-fuel system, blending natural gas with the biogas to create a mixture which allows the units to operate at a peak efficiency of 85%. To date, the plant has saved county taxpayers over 11 million dollars in fuel costs and is expected to provide savings in excess of 26 million dollars over the treatment plant’s expected life‐cycle of 25 years. In 2012 when Superstorm Sandy hit the region, the GE Jenbacher system was able to provide all of the necessary power and hot water to run the facility until power could be restored to the struck region. 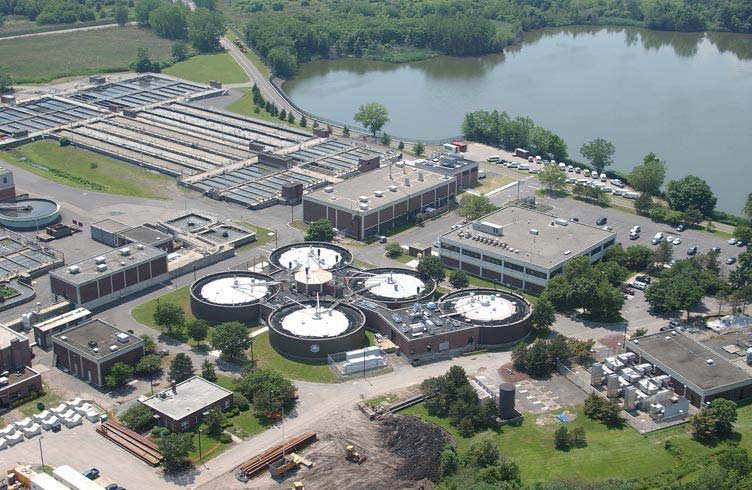 BCUA was able to continue treating wastewater, while several other plants pumped raw sewage into fresh water outlets such as streams and rivers after losing power. A reliable supply of electricity, even during natural disasters, is a one of the numerous advantages of running a GE Jenbacher system. BCUA’s ultimate goal is to be entirely independent of the electrical grid. In 2012, a utility conducted pilot study determined that with the increased waste products generated by the local food industries and processed by the plants digester system, the additional methane generated would warrant the installation of a third 1.4 megawatt generator system. 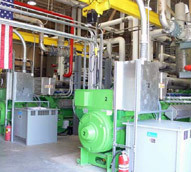 BACU is currently in the process of installing a third engine, which is estimated to provide an additional $650,000 in savings. A 250 million dollar grant from the New Jersey State Board of Public Utilities is helping to fund the project, which is expected to be operational in the spring of 2015. 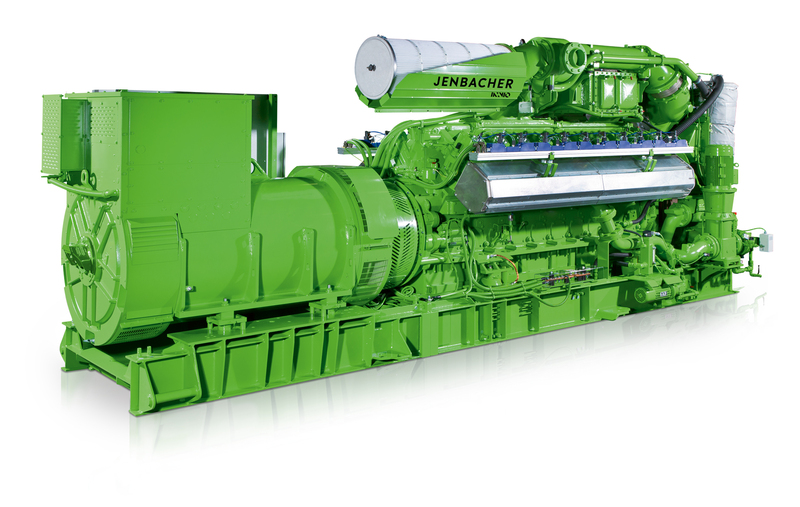 Jenbacher has delivered more than 3,500 gas fueled GE Jenbacher cogeneration plants worldwide since their first plant was built in 1957. This technology generates more than 28 million megawatts of electrical power and more than 26 million megawatt hours of heat annually, providing enough power to run 2.6 million homes. This amount of energy equates to a potential savings of 29 million barrels of oil and 1.7 million tons of C02, or the equivalent petrochemical usage and emissions of 860,000 passenger cars. With an increasing focus on reducing the nation’s dependence on fossil fuels and greenhouse gas emissions, we are finding more and more applications for biogas conversion technology. The EPA estimates that food waste accounts for 28% of solid waste disposed of at municipal solid waste facilities. Many states and municipalities are realizing the potential of this untapped energy source and are taking steps toward helping residential customers and the food industry segregate and dispose of this waste differently in order to use the food waste as a source of alternative energy. At Northeast Energy Systems, we continue to lead the way in developing solutions to minimize greenhouse emissions and efficiently utilize alternative sources of waste energy. For additional details about this biological wastewater energy project, see the table below, or contact us directly.